Check out the possibilities! 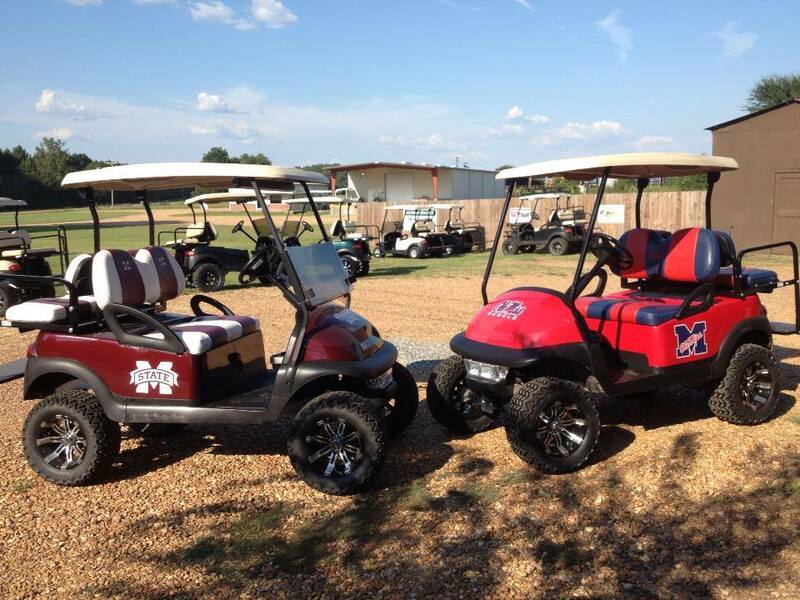 We can custom design any college or school golf cart. We will lift the cart, paint, customize the seats w/ school colors, embroider logos add stickers and make it yours!